As part of an interesting collaborative research theme I’ve been exploring with experiential educator Jule Hildmann (Train the Trainer) around the links between ‘initiative games’ in experiential education, and the development of deep context in games for education, we co-authored a paper for the Internationaler Kongress für erleben und lernen (International conference for experiential learning), Augsburg, Germany, 28-29 September 2012. Jule has developed an idea called ‘Simple Things’ which gives trainers simple tools to develop, structure, run and reflect on initiative games, in order to achieve learning objectives. 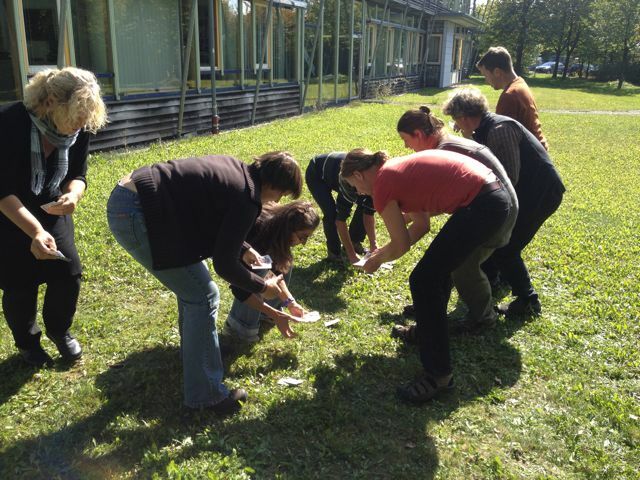 Initiative games are often used in experiential education, and might be as simple as building the tallest tower with blocks – through to complex team challenges such as getting everyone safely across a fast-moving stream. Jule’s approach, and one which chimes with my own research, is to use metaphor around such activities, structuring them so that they reflect real situations, surroundings and challenges from participants’ own contexts. So crossing the river is not simply a group challenge: the river might be a strong weakness which the team are keen to overcome in real life, and the opposite shore the new direction they want to take. 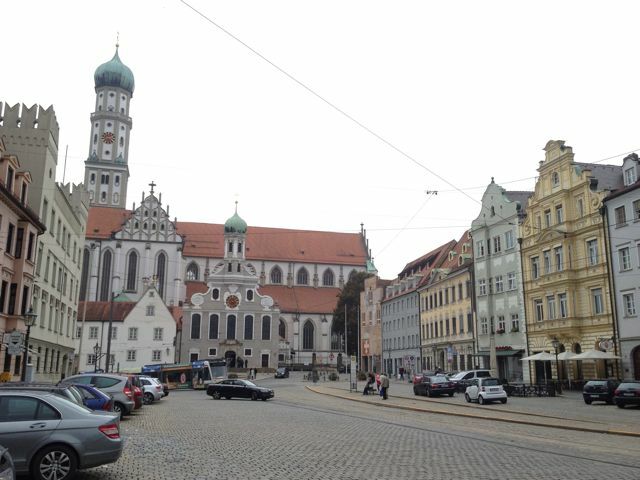 We ran a 3-hour workshop around the exploration of these themes in Augsburg, in both German and English. 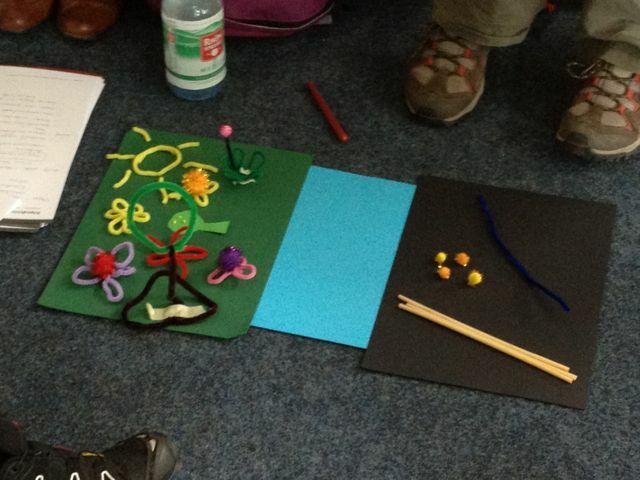 By asking the participants to play a couple of short initiative games, and then apply metaphor to the games for their own context (which they visualised in some impressive plasticine and pipecleaner models), we encouraged participants to develop activities with the learning context in mind, rather than applying outcomes to preset activities. The workshop was a great success, and encouraged us to continue our conjoined research in this area: look out for more work in the future. The remainder of the conference was interesting to me as something of an outsider to the field, and allowed space for a lot of reflection on how approaches and features might move from the predominantly outdoor/active space of experiential education, to the more formal classroom or online spaces in HE. 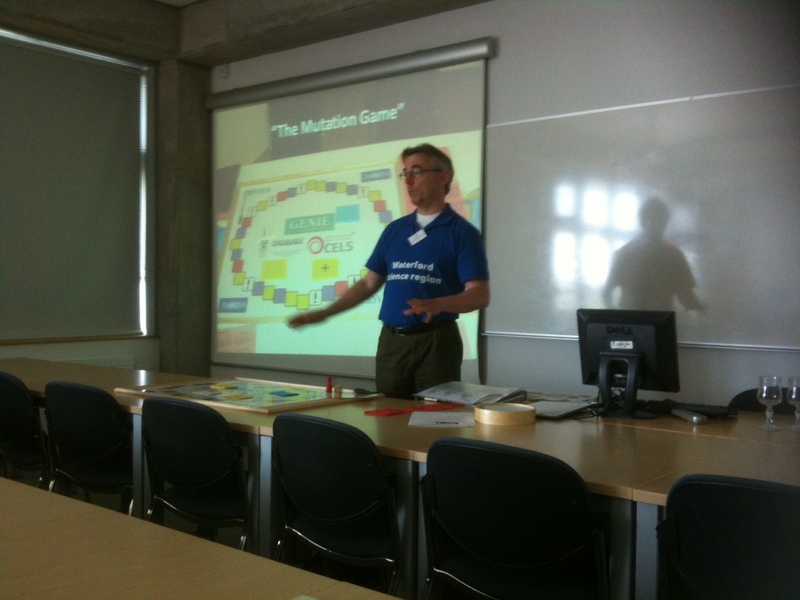 New journal article: An Alternate Reality for Education? A paper in which I revisit the research I conducted into the most engaged players in the Alternate Reality Game (ARG) Perplex City has just been published in the International Journal of Games Based Learning (IJGBL), Vol. 2, Issue 3, pp32-50. – doesn’t have to be fictional: academic subjects have histories, themes, news etc. If you can’t access the journal article from your institution, you can get the gist of the paper from the 2008 conference paper in Publications, and I hope to be able to provide the new full paper here in due course. 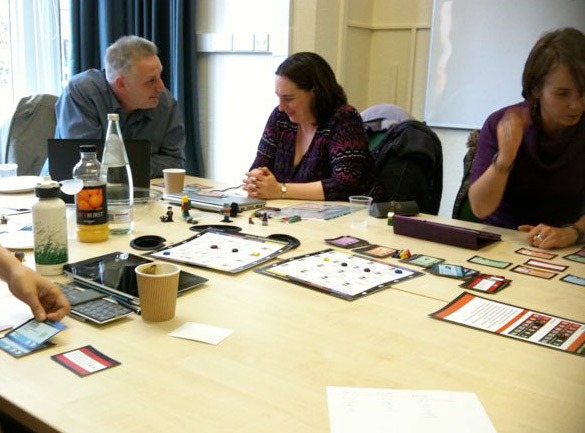 At the last ALT-C conference, Nic Whitton and myself floated the idea of a Games and Learning special interest group (SIG) with the powers that be; to be greeted with much enthusiasm. Fast forward three months, and a group of researchers and practitioners within higher and further education who all shared an interest in the use of games within learning (either directly, or indirectly through research) met together in a first SIG online meeting. And there was much rejoicing. playing and critiquing my course design board game (very useful feedback) and decamping in the evening for beer and some highly competitive games of Carcassonne, Ruk Shuk and Pass the Pigs.